Although Samaritan follows on directly from the events of Epiphany, and the two are awkwardly joined for the later Redemption graphic novel, they’re very different beasts. 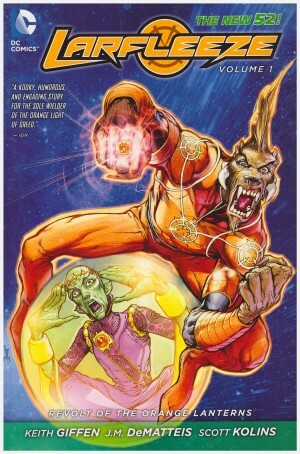 There’s no Jim Starlin here as Keith Giffen supplies the plot, and Ron Lim the art. 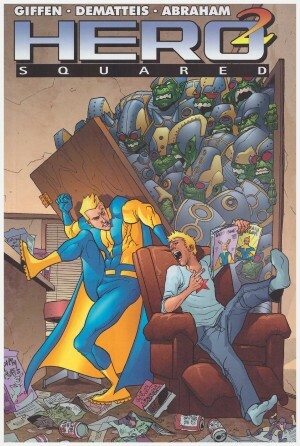 Giffen’s always been a clever plotter, and that’s the case here. 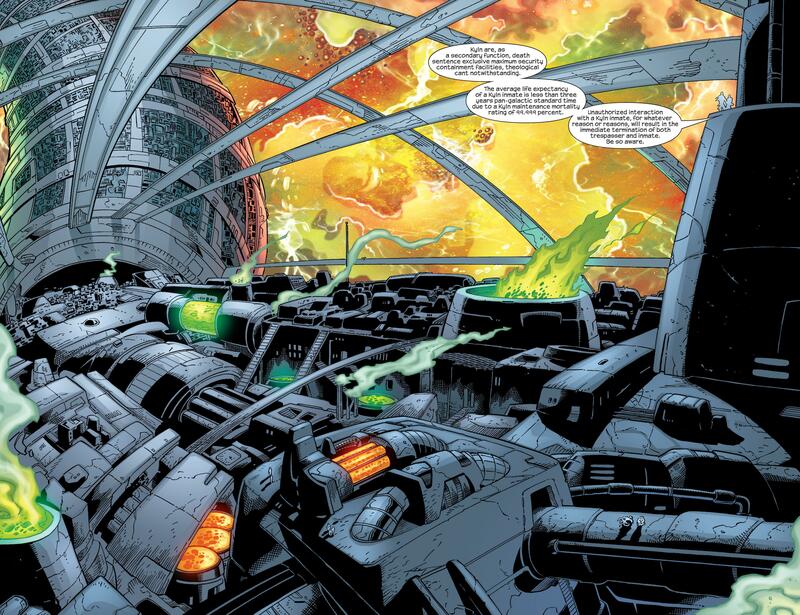 For purposes unknown Thanos arrives at a power generating facility at the edge of the universe, and we learn the inventive manner in which the vast facility is kept operating. 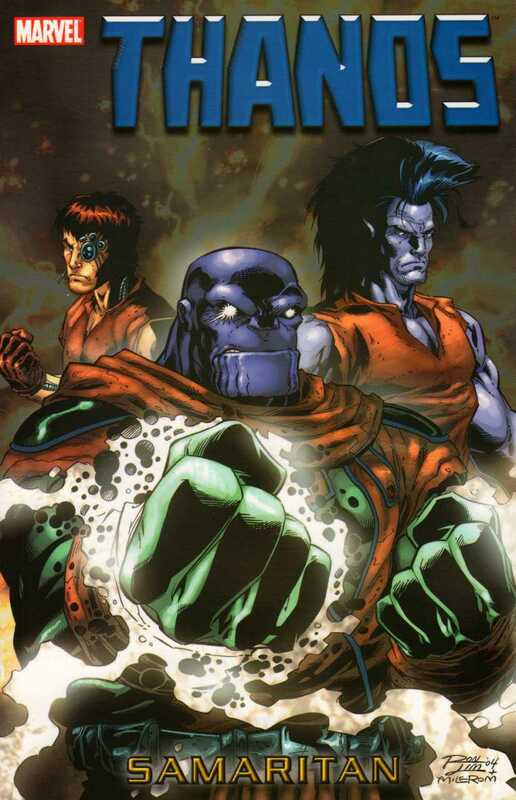 Several known faces are among the population of Kyln, and one total wild card, a being whose power is a match for Thanos. Ron Lim spent much of his early career being an artist who delivered base level competence very rapidly, which had its effect on his long term reputation. He drew Samaritan over a decade into his career, at a point where he’d perhaps realised this, and there are some extremely impressive pages. 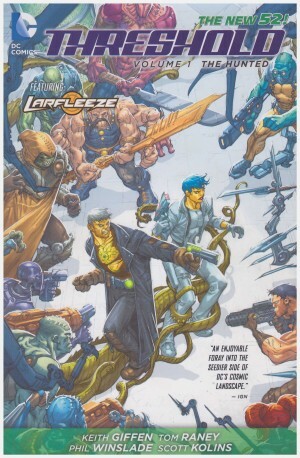 Almost the entire story is set within an alien environment that Lim brings distinctively to life, never short-changing on detail or the multitude of differently designed aliens. His more human characters still have a shorthand to them, but they’re few and fit the environment. 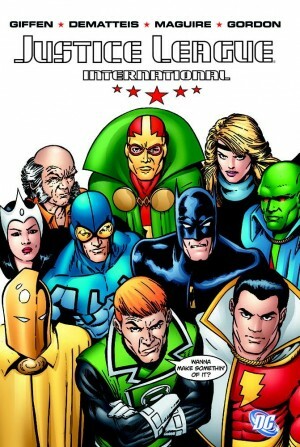 Giffen introduces a theological aspect, and the mystery of Thanos’ purpose is counterpointed by the interest in him from various parties. His presence sparks assorted events, but it’s only at the end that everything ties together. Giffen’s deliberately designed Samaritan as a dense tale. His dialogue patterns are strange, as if filtered through a faulty translation device, so accentuating the alien company, and he composes a neat solution to a seemingly unsolvable problem. Everything appears done and dusted after four chapters, but that’s not the case. Giffen’s introduced Skreet to the plot, attaching herself to Thanos and serving as a sort of Tinkebell to his Captain Hook. This was from the days when she was a puzzling irritation rather than what she was later revealed to be, and a new cosmic character hits the stage. Unfortunately, complexity didn’t work as a sales device. Thanos’ pilgrimage to Kyln was a footnote instead of a new direction, and a rushed ending is unsatisfying. Thanos’ would next be seen in the cosmic events of Annihilation.